Our story began in Berlin. We had almost no chances to meet, but we did! Juan is Colombian and American. At the time, he worked in Orlando – Florida. Lydie is Swiss and worked in a business school based in the French part of Switzerland. Even though having two different lives and coming from different backgrounds and cultures, we are driven by the love to one another. 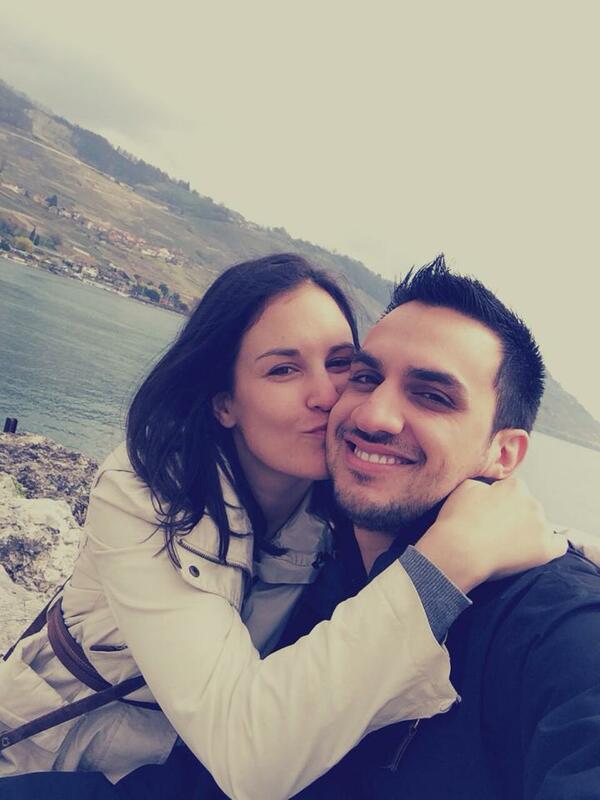 We decided to live together in Switzerland for a while and to realize a common dream, to discover the world. All this seems very easy but the changes in our life were a little challenging at the beginning. However, since the first day we met, life gave us the sign to let it go and to follow our heart. Juan left everything behind to come live in Switzerland. Lydie quit her job and left her comfort zone as well. We really don’t regret anything and we are now more than ready to start a 10 months world trip together through South Asia, Indonesia, Australia and South America. A little more about us… What do we have in common? Travels: We have the same passion for travel. During this trip, our goal is to get to know different cultures and if possible have authentic experiences away from the touristic crowd. Food and Eco: We both have the respect of the nature and animals that makes us almost vegetarian. Juan still eats local meat from time to time. We want to make sure that the food we eat is local, of the season, complying with the environmental and sustainable principles. Sport: We both love yoga and practice meditation. Follow us on our yoga teacher training course in Koh Samui, Thailand later on during the year. Personality: We are open-minded and eager to experience new things in life. We love having friends around and to be cosy at home too. Lydie is impatient but Juan teaches her to secret of being calm and relax. Juan procrastinates a little but Lydie teaches him the good aspects of the present and to have things done! Our culture: We learn a lot from each other; Lydie improves her Spanish and Juan his French. We speak English together. We enjoy dancing and laughing (Colombian influences). We take benefit of being on time and to keep our deadlines: blog, trip organization etc (Swiss influence). What are we going to do during this trip? We would like to be spontaneous and take time to discover the beauty of this world. Through the Taj Mahal, Halong Bay and Ankor Wat, we will make sure to take nice pictures but most importantly to keep all this nice moment in our heart. We want to get to know local practice, take cooking classes, talk with people having different customs and habits, maybe to learn some words of new languages, to grow from this and open our mind. Please follow us on this journey! We look forward to sharing our articles, pictures with all of you and don’t forget to come say hello. Also, you may be asking why pilot fish? Well, find out more what a pilot fish is here. I’m excited to read about your experiences, mes chéris.